Empower your students to explore their leadership DNA, identify their passion and take action to become UNSTOPPABLE! 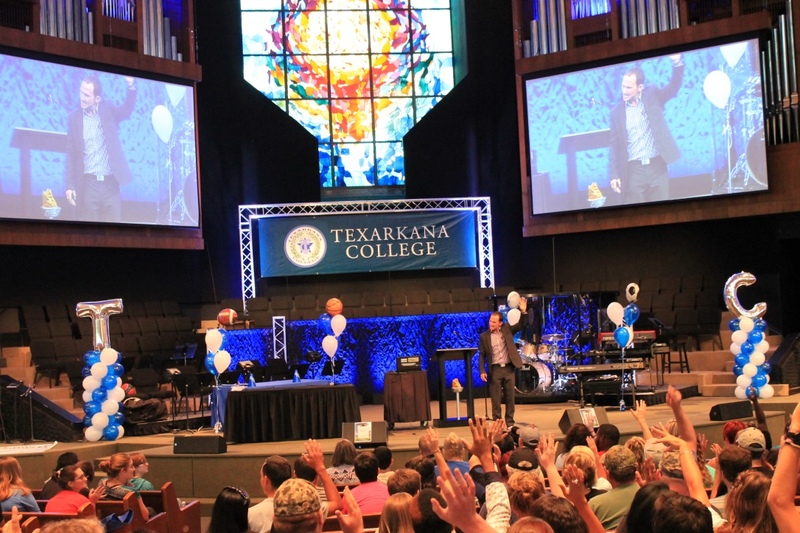 With a diverse career in Student Affairs, retention research and over 10 years of professional speaking experience, Kevin is an expert on designing high-energy keynote presentations that engage, empower and entertain any size collegiate audience. Kevin has held positions at colleges and universities including Dean of Students, Greek Life Advisor, Student Activities Director, Orientation Coordinator, Academic Advisor and Residence Hall Director. CLICK HERE TO WATCH KEVIN’S COLLEGIATE DEMO VIDEO! Dr. Snyder was the best keynote youth speaker our students ever booked for HOBBY! His presentation was interactive, customized, and most of all, it was hilariously entertaining! 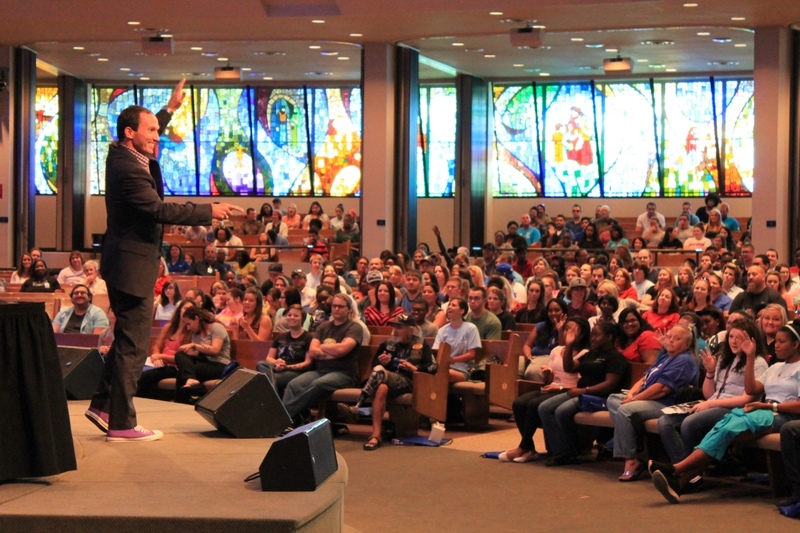 The students loved him and shared amazing takeaways … his standing ovation was well deserved! Kevin is a proud member of CAMPUSPEAK. Sample presentation titles are below. Consider co-sponsoring Kevin with other campus departments and utilize him for an additional keynote or workshop on the same day – all inclusive! Learning outcomes are available as well. Extraordinary leaders understand who they are, their purpose and they have a clear vision for what they expect to accomplish. Their success is neither an accident nor a result of luck – rather, it’s a byproduct of their leadership DNA which can be developed! In this high-energy and interactive presentation, Kevin will show exactly where students can start in fully developing their leadership abilities, living their passion and influentially leading others. He will outline how it’s possible for anyone, from any background, to think bigger than ever before and achieve extraordinary success. Kevin lived his first dream at the young age of 22 by meeting his teenage idol Bob Barker and winning on the popular television game show The Price is Right! How he got on the show, and won, is an inspiring and hilariously entertaining story of vision, persistence and passion. If you desire a dynamic, fun and authentic keynote presentation that inspires students with a powerful call-to-action takeaway toward their dream, then Leadership DNA is your ideal program. As Kevin says, you can only live a dream if you have one first! An ideal keynote for student leadership conferences and events! An interesting fact is that the majority of fraternal members never expected to join their fraternity or sorority when they first arrived to campus. Why is that? More importantly, how can we change that reality so new students know, and are excited to explore how, joining a fraternal organization will lead them to an incredible collegiate experience and beyond. Proud and Purposeful: THE Fraternal Experience will empower and equip fraternity and sorority members with a renewed sense of motivation, prdide and purpose for their affiliation. Members will be reminded of their “why” for joining and how to take advantage of the countless incredible opportunities that fraternal involvement provides. In this new and inspirational presentation ideal for Greek Week and various fraternal events, Kevin shares a unique perspective. 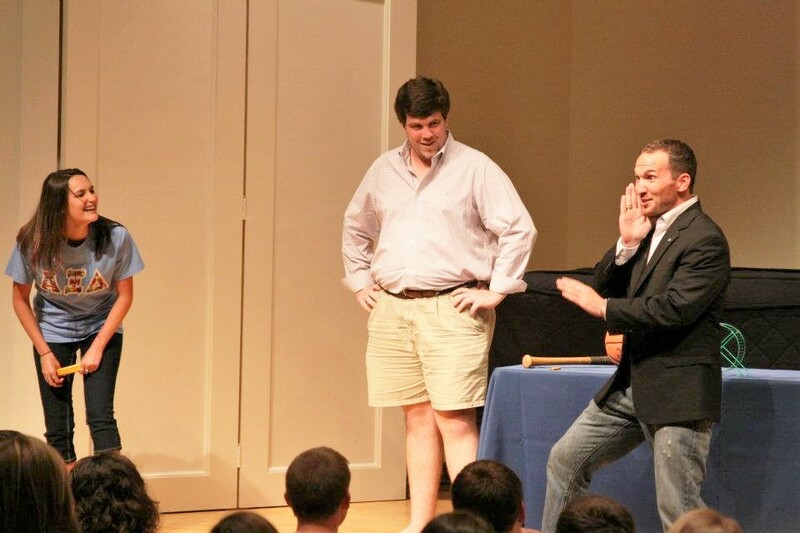 What he encountered during his first year of college, and more importantly why he changed his mind about ultimately joining a fraternity, will both awe and inspire audiences listening and engaged with his entertaining story. Transforming himself from “never joiner” to chapter president further opened up new doors such as Greek Man of the Year, leadership consultant, Greek Advisor and Dean of Students. Kevin’s keynote presentation shares an inspirational message all fraternity and sorority members should hear and reflect upon. Ideal for Greek Week and New Member events & leadership activities! It’s tough when we deal with setbacks in life, get overwhelmed and when something doesn’t go according to plan. Whether we are a new student in college or a corporate executive, there are times when giving up creeps in our mind and we begin to doubt ourselves. However, these are the moments when we cannot give up, when we need to develop grit, press onward and break through the adversity we are facing. These are the “opportunities” where extraordinary leadership is required and when our struggles can actually develop our strengths. This interactive presentation will reveal the amazing stories, leadership secrets and strategies from extraordinary leaders that Dr. Snyder discovered through his TEDx talk and has been shared with nearly 500,000 people in all 50 states. This presentation is ideal for students at all levels and will teach them the key ingredients that, when combined, are the success recipe for being UNSTOPPABLE both in college and in life! Afterward, students will feel empowered about taking their leadership to the next level and developing an action plan helping them attain their highest potential. An ideal keynote for first year students and community colleges! 2015 was a pinnacle year where the Millennials officially became the majority demographic population. This generation comprises our students and children, each carrying unique generational characteristics that can be challenging to comprehend, relate and teach. Understanding how these generational differences impact student engagement, development and education is essential for our future generations. Faculty, staff and department leadership – being Baby Boomers and Gen X’ers – must know how to embrace the needs and perspectives of the Millennials. In this interactive presentation tailored specifically for faculty, staff and institutional leadership, you will learn fascinating best practices, ‘next practices,’ and tangible take-a-ways showing how to leverage unique generational mentalities and expectations. You will understand how the arrival of the most hyper-connected, civic-minded and tech-savvy generation has impacted student development and success.